Edward Lear popularized limericks in the 1800's when he published his "Book of Nonsense," which was filled with silly limericks he had written for the children of a friend. We know this form of poetry dates back to the 1700's at least, because the nursery rhyme, "Hickory, Dickory, Dock," was first printed in 1744; it follows the rhyming pattern of limericks. There is a city in Ireland named Limerick. Perhaps this form of poetry was born there, or maybe the city's name was used in the first poem. Composed of five lines, the limerick adheres to a strict rhyme scheme and bouncy rhythm, making it easy to memorize. ​The form is well known to generations of English-speaking readers, by way of Mother Goose nursery rhymes, first published in 1791. 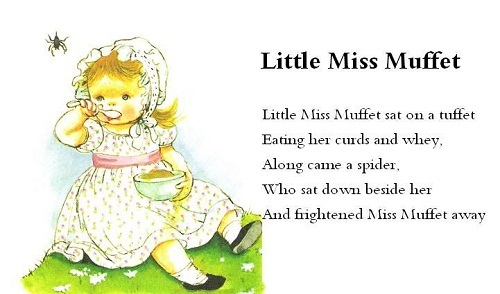 Of course, not all of the nursery rhymes followed the exact formula, but they did have a memorable rhythm and rhyme. A limerick is a five-line poem made up of one couplet and one triplet. A couplet is a two-line rhymed poem. A triplet is a three-line rhymed poem. The poem begins with the first two lines of the triplet, followed by the couplet, and finished with the final line of the triplet. The rhyme pattern is AABBA. Lines 1, 2, and 5 contain 3 stressed syllables, while lines 3 and 4 contain just 2 stressed syllables. Counting stressed and unstressed syllables, each of the triplet lines will have 8 or 9 syllables, and each of the couplet lines will have 5 or 6. The last line of a well-written limerick contains the punch line, or joke, of the poem. In spite of that, many of Lear's limericks simply repeated the rhyme from the first line. He was known to sometimes create a nonsense word to fit the rhyme. This is known as "pulling a Lear!" As an example, read the following limerick by Edward Lear. Notice the rhythm and rhyme in the poem. Look at the following limerick. Can you fix the rhyme scheme by using a synonym for each underlined word? Remember it must be AABBA. Who woke up all covered in adhesive. Cried she, "What a scare! I've been sticky all night! I thought 'twas a dream, but it's real!